Looking for the perfect waterfront home ? Enjoy 135' on Mallet Bayou. Drive onto the circular driveway which gives access to the attached garage, detached garage, plenty of guests parking, boat or motorhome. The owners have completely renovated the home within the past few years. As you enter into the home, you catch the view of Mallet Bayou and a 15000 gallon kidney shaped swimming pool. Your eyes shift to the beautiful pre-engineered Danish White Oak, charcoal stained in color, flooring throughout the kitchen, living room, dining, master suite and walk-in closet. The kitchen has decorative glass tile backsplash, chef's stainless steel sink, under cabinet lighting, leather granite countertops and a separate breakfast bar that has seating for 3 with Carrera marble countertop.All appliances are stainless steel, Kenmore Elite and experience cooking on an induction stove top range. Enjoy the ambiance of an electric heater/fireplace with ledger panel stone surrounds. Beautiful pickled tongue and grove ceiling boasts in the living room and dining area. Walk to the dining area and sit at the large table with sky light while absorb the beauty of the bayou and pool while enjoying your meal with family and friends or entertaining your guests. Walk to the spacious master suite with vaulted ceiling and imagine waking up with the serenity of the water to start your day. Your large walk-in closet with built-ins on both sides greets you with mirrored barn doors to pass thru to the master bath. Tiled flooring throughout the master bathroom suite with tiled wainscoting on all the walls. Take advantage of the deep, soaking, jetted tub for those exhausting days to just relax or take a hot steam shower. Two separate vessel sinks with Caesarstone quartz countertops and separate enclosed water closet. which has a Coco brand bidet. Each guest bedroom has carpeted floors and have views of the bayou. The guest bathroom has a tiled surround shower, 2 under mount sinks with leather granite countertops and a Coco brand bidet. The guest bath allows access to an outdoor shower that is enclosed going out to the pool. The laundry room has two separate closets, one used for laundry and one used as a pantry. Leather granite countertop for folding and the large capacity washer and dryer with pedestal conveys with the purchase of the home. There is a central vacuum system, paddle switches throughout and solid wood interior doors. The main home has a Carrier Infinity HVAC installed a few years ago, sellers had all the duct throughout the home replaced and removed all the blown insulation and installed foam insulation for additional upgrades. Exit out to the 23 x 24 / 2-car attached garage (with an insulated R-19 rated garage door) which is heated and cooled with a separate HVAC and a 11 x 12 area that could possibly be enclosed as an office entering into the hall of the main home. There is a 2'8" x 8' cedar closet in the garage and an additional area 11' x 3' where the 50 gallon Rheem Performance Platinum High Efficiency electric water heater (offers longer life, high performance and lower operating costs per the manufacturer). 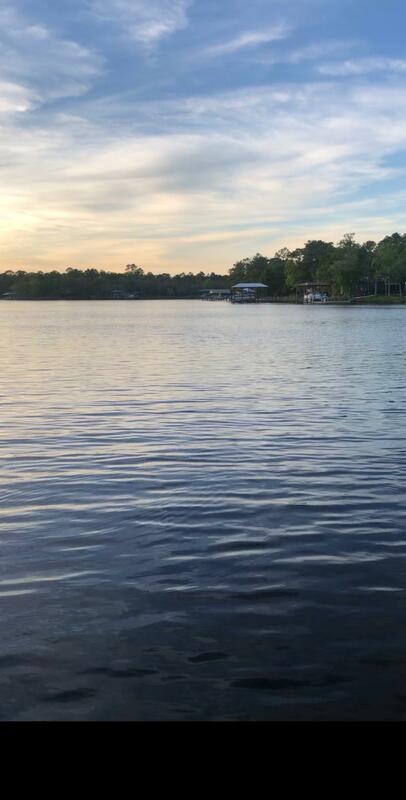 There is so much more to this property; separate detached garage or workshop that is 32 x 21 with an 8 x 21 covered porch overlooking the bayou, walk-in pump house 8 x 13, brick paved walk on east and west side of the home, black aluminum fence for the back yard to the water's edge. For recreation, meander to the dock on the bayou and enjoy fishing from your 16 x 12'8" deck. A 32 x 12 boat slip with a 10,000 lb. boat lift and an additional slip which measures approximately 19'6" x 10'8". 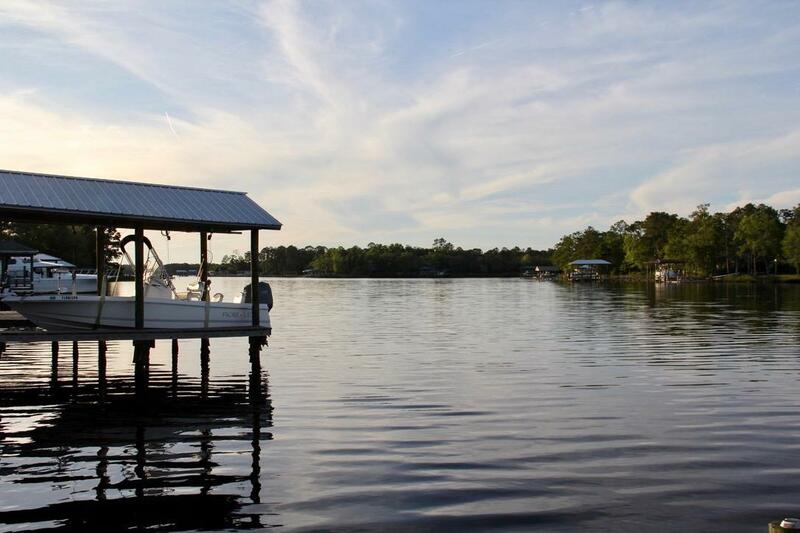 With water access from the bayou, you are minutes away from Choctawhatchee Bay. 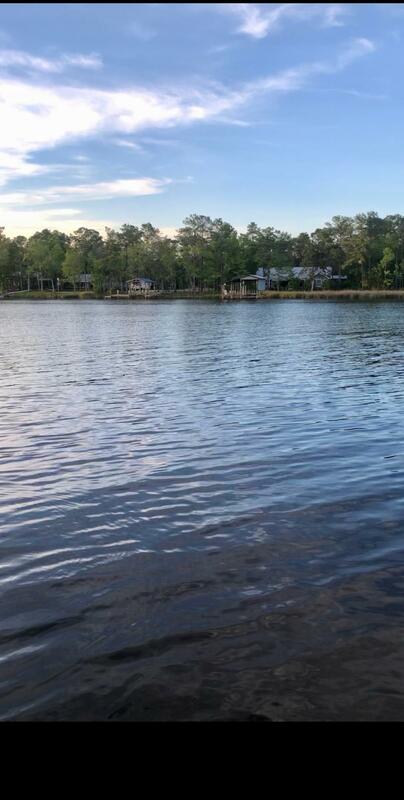 Sit on the dock and enjoy seeing the dolphin swimming and playing in the bayou, the Osprey and Eagles making their homes along the shores. 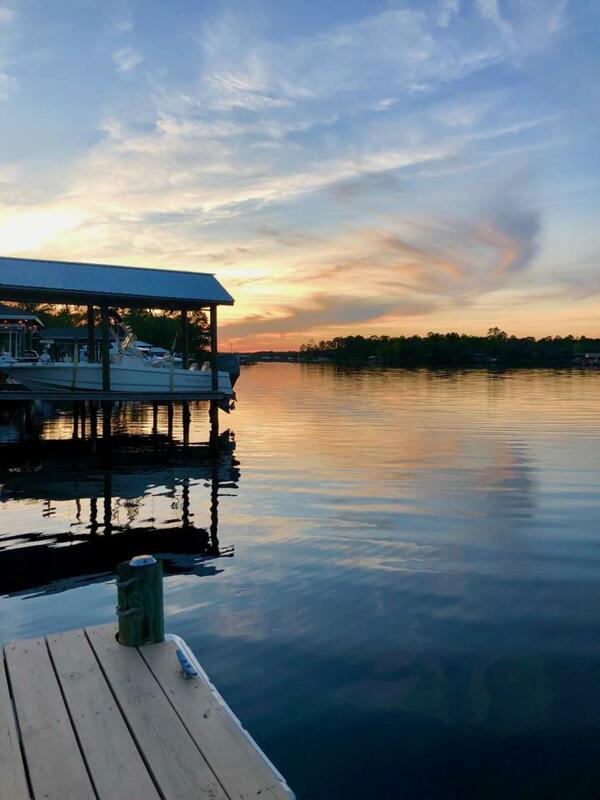 Just lay on the deck and enjoy the sun and serenity of the bayou. Traveling by boat, head out to the bay then go west to Destin and out to the Gulf of Mexico or east to St Andrews Bay down the intracoastal waterway. So much to do and see living the lifestyle on the water!!! Listing courtesy of Jan Hooks Real Estate Group Inc.